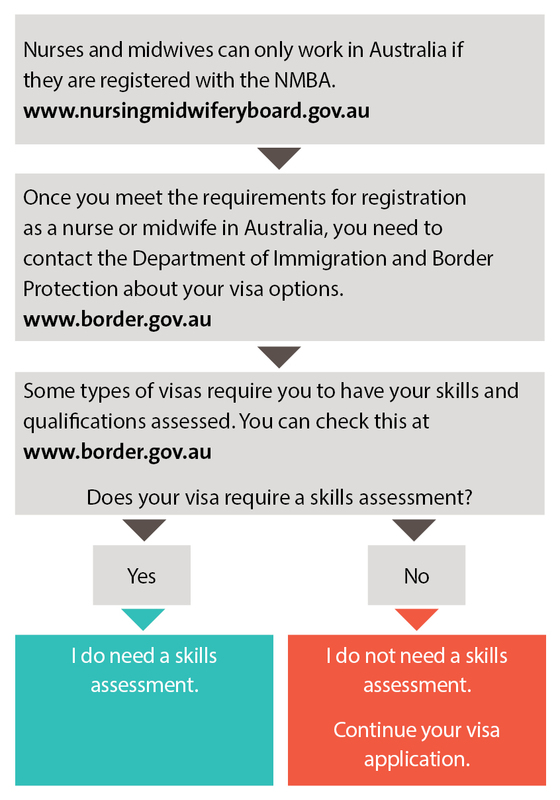 To work as a nurse or midwife in Australia, you must be registered with the Nursing and Midwifery Board of Australia and meet the Board's registration standards.Nurses and midwives applying to migrate to Australia, may be asked to provide information on their eligibility to register and therefore work in Australia. The registration process is independent and separate to the skilled migration process. deliver nursing and midwifery education or training.